The Dominican Republic made headlines about it’s beaches this week-- and it wasn’t for it’s miles of pristine tropical white-sand beaches. It was for waves upon waves of trash that had engulfed Montesinos Beach in the capital, Santo Domingo. The government deployed hundreds of city workers with help from volunteers to tackle the ecological mess. Even though the clean up team worked hard to remove 60 tons of garbage last week, the thick mass of trash accumulating offshore and on the beach seems unwavering (Karasz).The floating mountains of trash are products of a storm that recently passed by, but the mess shows an up close and uncomfortable truth about the relationship between garbage, the environment, and developing nations. People in the U.S. and other developed countries usually don’t think twice about basic services like recycling, trash removal, or wastewater treatment. However, it is not uncommon for developing countries to struggle with impletation or operation of adequate waste management policies or systems. In the Dominican Republic, it is common to use rivers and beaches as places to dump your trash. When trash is dumped in these areas the majority of the garbage makes it to the high seas, which contributes to issues like the largest collection of garbage being twice the size of texas, while a small percentage washes up onto shore. The New York Times reported that in the case of Montesinos Beach, the mountains of waste came from trash thrown into the nearly Ozama River, which flows into the Caribbean Sea (Karasz). Other countries in the region, like Guatemala, have seen the deep-rooted effects of improper waste disposal. Until 2012, a large part of the population simply dumped their garbage in the ground and left waste untreated ("Guatemala's trash"). Guatemala had this systematic issue for decades and over time started to see the pollution wreak havoc on the ecosystem, most notably Lake Atitlan which supports the tourism industry. In October 2009, the famous lake became covered with toxic cyanobacteria that stopped the ability to fish and drove away tourists ("Guatemala's trash"). It wasn't until Jürgen Kattuntil, a German-born Guatemalan resident who saw the disastrous effects of pollution and decided to import German dumptrucks to collect and dispose of garbage properly as well as set up eco-friendly wastewater treatment plants around the country. In 2012, when asked about the future of his sustainability project, Kattuntil replied that the growing population around Lake Atitlan is met with a tenfold increase in garbage and pollution ("Guatemala's trash"). He emphasized the need for local residents to adopt environmental awareness, noting the work his organization has done in Guatemalan schools. The case of Guatemala highlights the intersection of sustainable living and the future of developing nations both socially and economically. Sometimes communities simply follow the same process of disposing garbage as their ancestors did, but as 21st century materials such as plastic packaging, oil containers, tires, batteries, and electronics become mixed in the process that was once biodegradable becomes problematic. In 1996 Hisashi Ogawa, then working for the World Health Organization (WHO) in Malaysia, highlighted the importance of combating the garbage and sustainability issues in developing countries. He stated, “The external support agencies often do not fully understand socio-economic, cultural, and political factors influencing the selection of appropriate solid waste management systems” ("3 Alternative"). As much as international organizations help fight the widespread issue in developing nations, they often hit roadblocks with government policies and may be out of touch with the local socio-economic or cultural aspects of their work ("3 Alternative"). As the global community bands together to hit sustainability goals for the future, education has become their strongest tool. Once communities adapt environmental consciousness (that even some developed nations lack), bottom-up and local efforts become self-sufficient and sustainable. As images like Montesinos Beach continuously resurface around the world we have no other option but to address the international issue that has both severe environmental and human consequences. n.a.. (9 Apr. 2012). 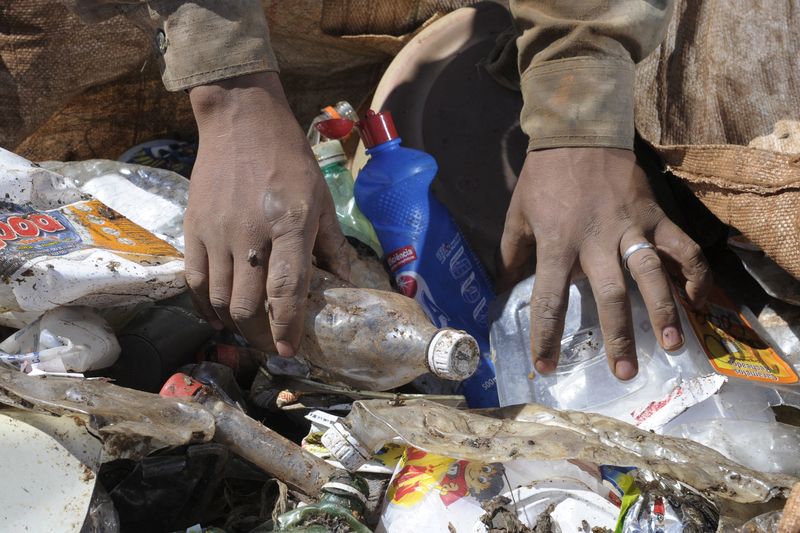 "Guatemala's trash problems 'getting worse". Deutsche Welle. DW. Retrieved Friday, July 27, 2018. Karasz, Palko. (23 July 2018). "Wave After Wave of Garbage Hits the Dominican Republic". The New York Times. Retrieved Friday, July 27, 2018.
n.a.. (2018 Jan ). "3 Alternative Ideas for Waste Management in Developing Countrie". iPoint. Retrieved Friday, July 27, 2018.